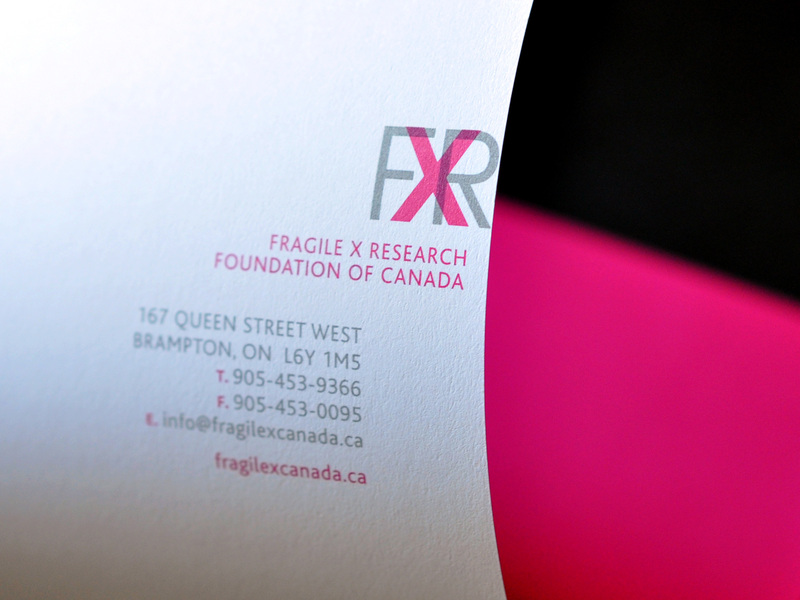 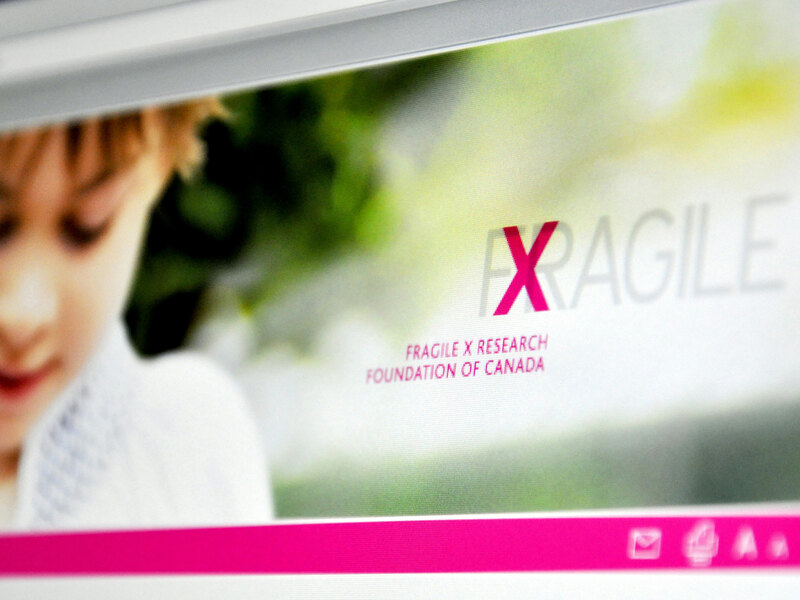 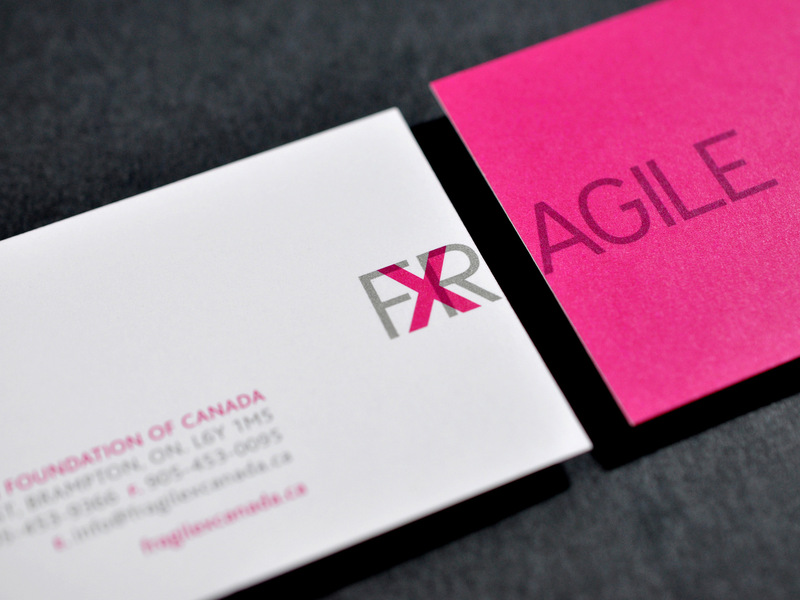 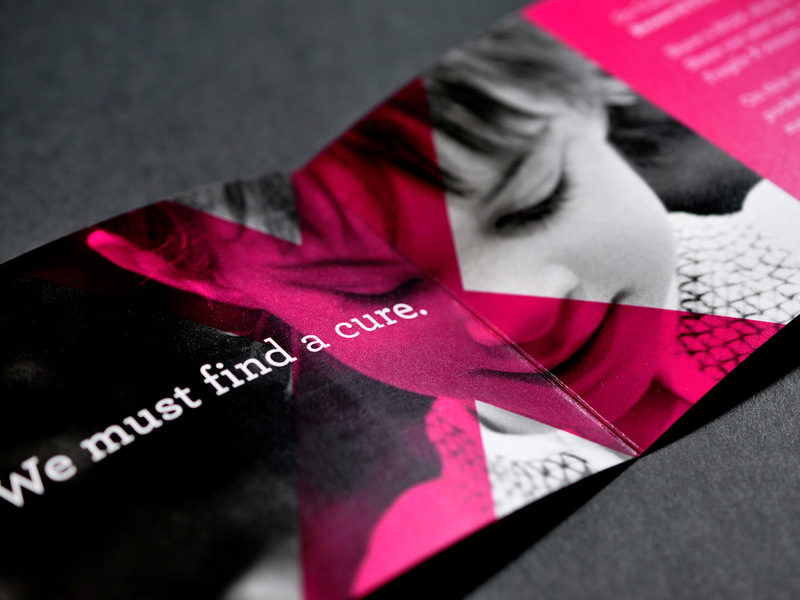 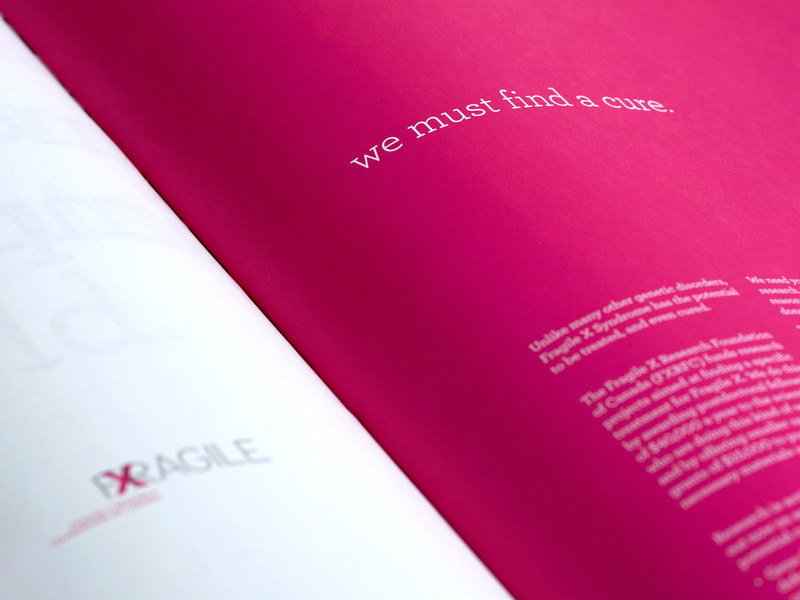 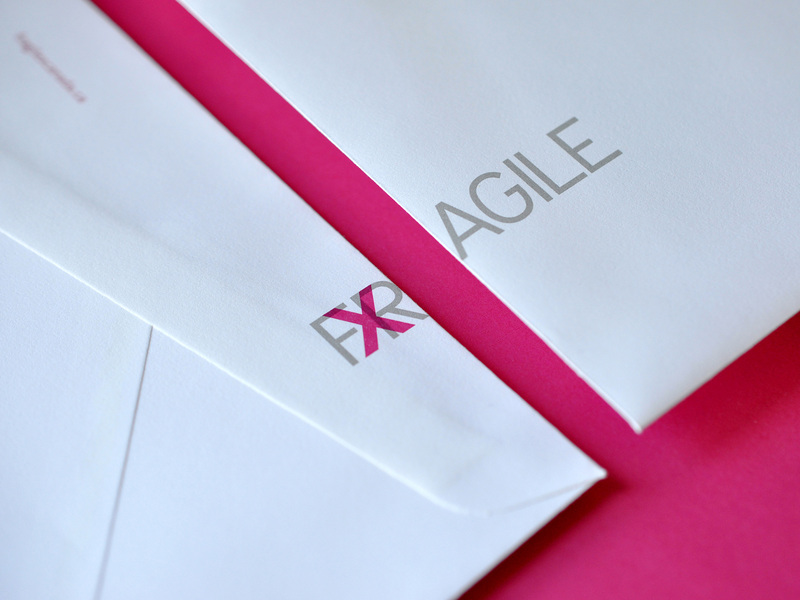 Branding for the charity Fragile X Research Foundation of Canada. 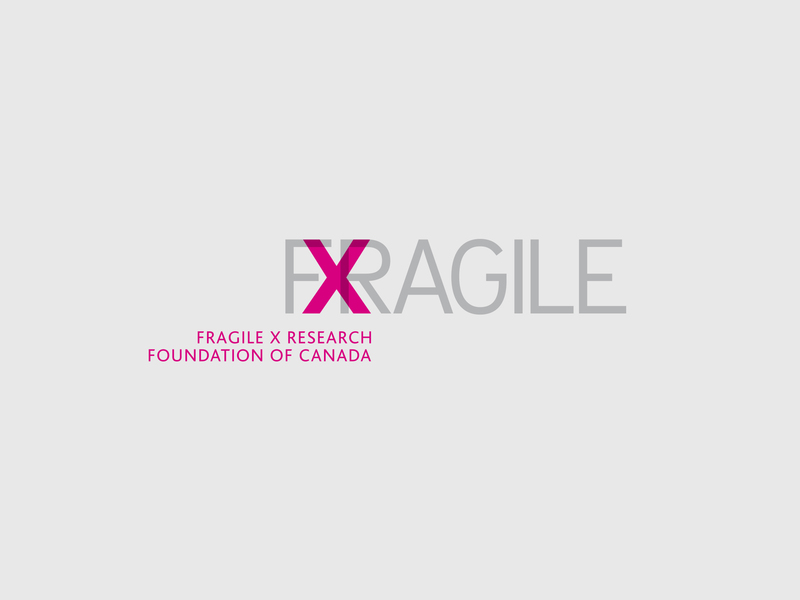 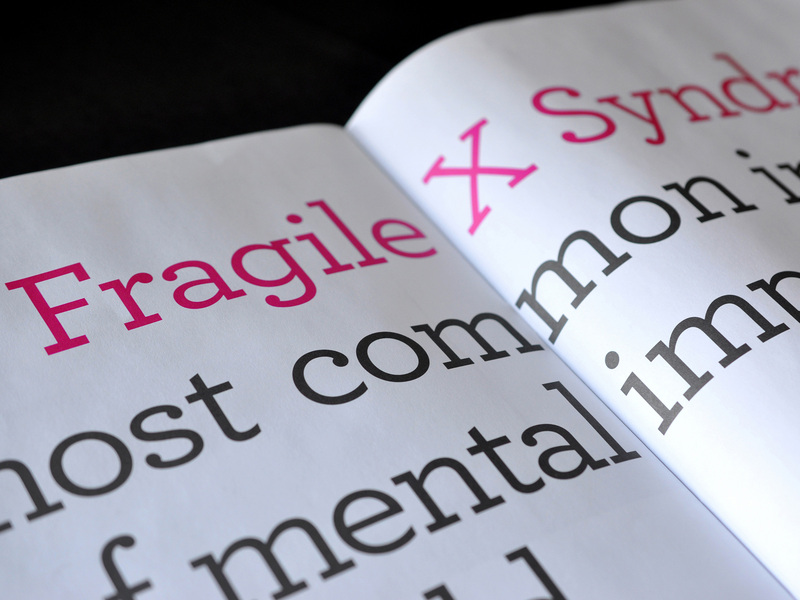 One of the key issues facing the charity was the lack of awareness of Fragile X Syndrome – the most commonly inherited form of mental impairment in the world. 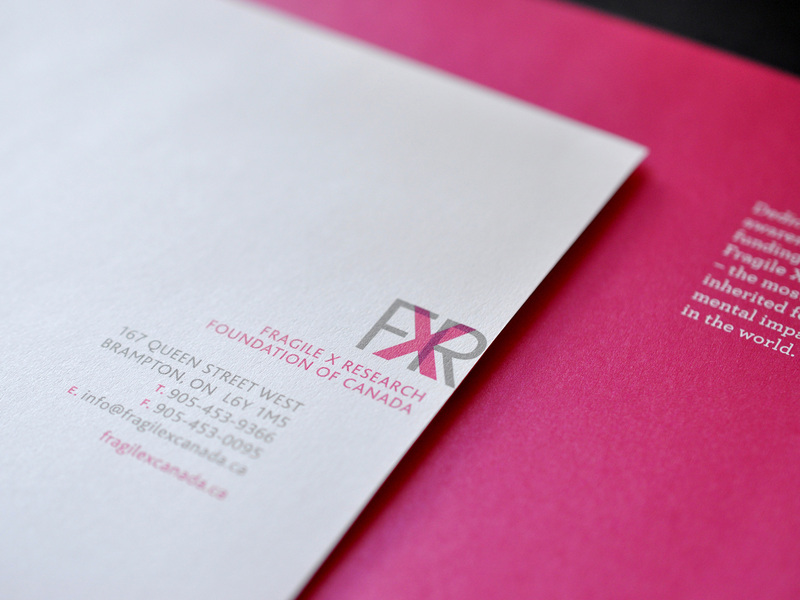 Creation of the new brand identity helped elevate the charity to a position where it could be seen and heard in an ever crowded, competitive space. 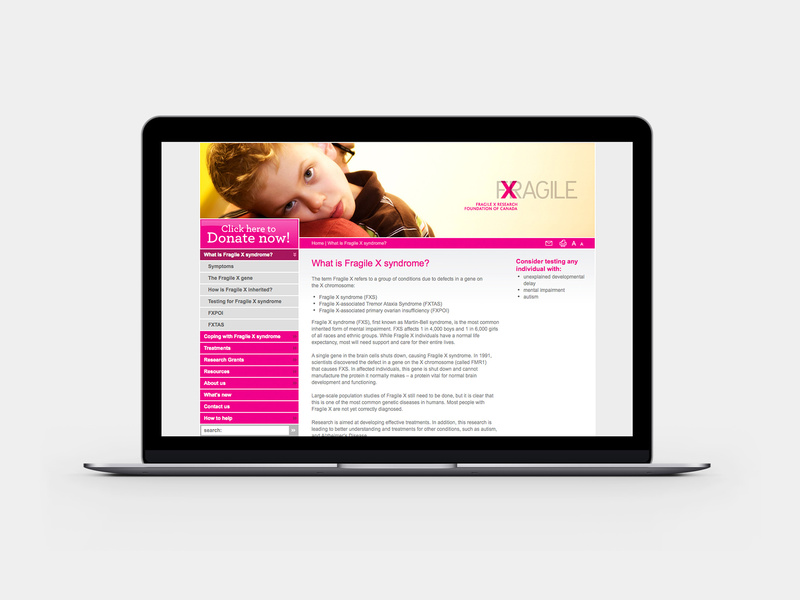 Deliverables included a brand identity, stationery suite, a large format awareness brochure, advertising campaign and a comprehensive new website.